I was in Ballantyne Village yesterday and even though I only visited one side of the retail and dining complex, I noticed three businesses were closed. I knew that Table Restaurant and Bar was closed because it permanently shut its doors in May. But I was surprised to see that It's A Grind coffeehouse and Vesuvio Restaurant and Lounge weren't open and this was clearly during their normal business hours. I can't say for sure what's happened to these two places, but It's A Grind's windows were all covered up and Vesuvio's phone number isn't working (and neither of the places are listed on BV's website). I hadn't been to Ballantyne Village in a few months so maybe this isn't new news, but it's new to me. And I have a hunch that had I walked around the village a little more I would've seen a few more businesses closed. It's filled with specialty shops and those are often the first to go when people start cutting back during a tough economy like this. But at the same time, a Dilworth Coffee and D'Vine Wine Cafe are both scheduled to open there in the next month or two, so who knows what the future holds. Hi, Thank you for noticing we (Dilworth Coffee Ballantyne Village) are opening. We have taken over the vacant 'It's a Grind' coffee house. The final stages of redesign are happening now and we will open March 2nd. Please come for a cup of coffee. I would love to chat. I go to the Village often for movies, sushi at Jade, and shopping for things different from what I can get at the mall. I can't wait for the coffee shop to open. I'll be there every morning. I'm quite excited the Dilworth is moving in. I didn't realize Vesuvio's was gone also. The loss of the first wine shop was a big blow. hopefully The Village and it's shops will become stable soon. I am SO thrilled that Dilworth is moving in! I visited their Hunters Crossing location and absolutely loved it! The owner couldn't have been more warm and welcoming! It was such a relaxing and comforting atmosphere..one you would want to spend each and every day in. As for Vesuvio, I guess I'm not surprised. I mean, places are closing everywhere! Phillips Place, Southpark, uptown...it's so depressing. This economy needs to start making a turn for the better. At least we have Dilworth to look forward to as well as that new Village wine bar. Finally...A coffee shop other than Starbucks! When is it opening? Dilworth is the best coffee in the city. Dilworth coffee is top notch, and the owners are fantastic. I will be. Visiting there A lot! 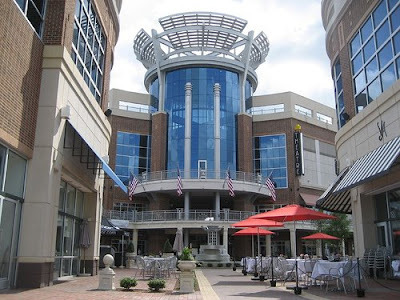 I love Ballantyne village and can't wait for the economy to pick back up and it can go back to jam packed with stores and people alike, this economy is killing the area.